Last week I headed to Norway’s biggest rock and metal open-air festival – Tons of Rock – which celebrated its five year anniversary this year. Located in the spectacular Fredriksten Fortress in Halden the festival featured two stages this year and a fantastic line-up of not only Scandinavian rock and metal, but also some big names from around the globe, including Ozzy Osbourne and Helloween. Opening the first day of the festival in the tent stage were Føss from Norway. These guys sadly missed out on performing at last year’s festival due to bad weather on the last day making the Huth Stage (perched close to the edge of a sheer drop on the side of the fortress) unsafe for performers and audience alike. They were invited back for a second chance at playing the festival and they certainly put their all into their performance. They were full of energy and were a great opener. 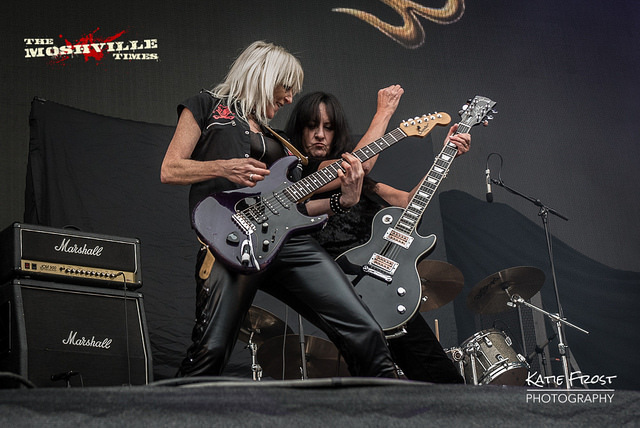 The first band to take to the main stage were Girlschool who are the longest running all-female rock band from the UK, originating from the British heavy metal scene in 1978. Frequently associated with contemporaries and friends Motörhead, these four ladies were rock n’ roll through and through and their hard rock / punk-tinged metal went down well with the ever-growing crowd. The next band I went to check out on the main stage were Scottish pirate metal legends Alestorm, playing their first ever show in Norway. I like to think I can take a tiny bit of credit for Alestorm appearing on the bill this year as when the festival posted on their Facebook page last year asking who should play this year Alestorm were one of the bands I suggested. I was a little unsure as to how they would go down with the Norwegian crowd, but I noticed a fair few pirate hats and Alestorm t-shirts and there were loads of people singing and bouncing along to their songs, plus some crowd-surfers. There was even a small child sticking their middle finger in the air with glee during the band’s final song “F*cked With An Anchor”. Next, I headed to the tent stage to see Finish heavy / power metal band Battle Beast. Vocalist Noora Louhimo put on a charismatic performance, flanked by windmilling guitarists, and I thoroughly enjoyed their set. Noora is an absolute powerhouse on vocals and her stage presence is fierce and feisty. The entire band were all smiles and seemed to be having a wonderful time, which I think always makes a band’s performance more engaging for the audience. 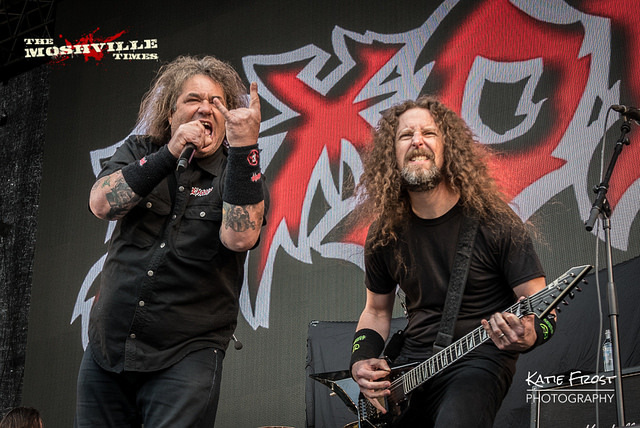 Next on the main stage were thrash metal veterans Exodus from California. Steve “Zetro” Souza was the smiliest thrash vocalist I have ever seen and commanded the attention of the crowd with his powerful delivery. Their set was riff-tastic, crushingly brutal and high-energy right from the very start. Another band to take to the main stage were melodic death metal band Arch Enemy from Sweden. Arch Enemy are a band I have been keen to photograph for a while and they certainly didn’t disappoint. Canadian vocalist Alissa White-Gluz whipped her bright-blue and white hair back and forth in between delivering thundering vocals that I had not expected to come from such a petite figure! It was clear to see how Alissa has gained a reputation for being one of the most badass ladies in the genre. The band have been going for twenty years and played a brilliant set from their illustrious career to a hyped-up crowd. I returned to the tent stage to watch Norwegian multi-instrumental folk band Wardruna, who were another band I had been really keen to see at the festival. I sadly missed out on seeing them play Union Chapel a couple of years ago so I am really looking forward to checking out their unique brand of Norwegian folk music. 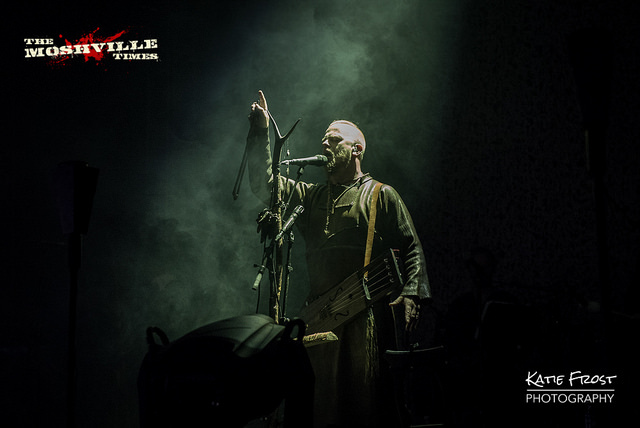 Wardruna conjured up a brilliant atmosphere in the packed blue tent with their combination of traditional Norse instruments and moody lighting, which was an enormous pain from a photography point of view, but did add to the experience. The band’s performance included large brass horns, some sort of stringed instrument and some incredible vocal skills from Einar Selvik, together with the ethereal tones of Lindy Fay Hella. Their performance was immersive and intense as well as being strikingly beautiful. Wardruna will return to the UK for a short run of shows in November. Check out their page for more details. Headlining main stage on the first night of the festival was the mighty Ozzy Osborne. I saw Black Sabbath play here back in 2016 and this time The Prince of Darkness returned with his own band. We were advised a few days before the festival that there would be no professional photography allowed during Ozzy’s set, so I stayed to watch a few songs whilst enjoying a well-deserved beer with friends, then headed back to the hotel to charge up various electronics as well as recharge my own batteries ahead of the second day of the festival. Other bands who played the first day of the festival that I sadly didn’t have time to shoot were: In Vain (Norwegian progressive extreme metal), Whoredome Rife (Norwegian black metal), Gaahls Wyrd (more Norwegian black metal), and Audrey Horne (melodic hard rock from Norway).